Norman Landscaping Construction offers landscaping and concreting services for residential and commercial properties throughout Melbourne. Call them today on 0439 64# ###. Norman Landscaping Construction is a fully qualified landscaping company in Caulfield. Top notch designs and stylish outdoor features will upgrade the value of your investment, let Norman Landscaping Construction build it for you. They specialise in all kinds of landscaping work including gardening, irrigation, turf installation, concreting, paving and overall design. Credible and reliable, and with more than 8 years of service in the industry, Norman Landscaping Construction can bring out the best in your property. 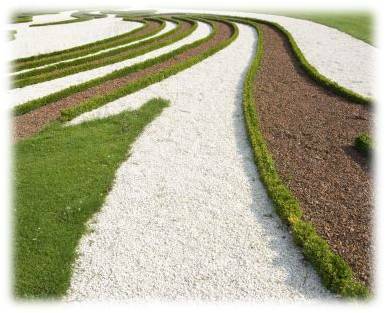 Each phase of the landscaping project is carefully supervised from planning to execution, by its powerhouse team of architects, builders and horticulturists. Just like the satisfied home and business owners throughout Bentleigh, Toorak, Brighton and surrounds, you too can experience the Norman Landscaping Construction’s remarkable service. If you’re looking for a contractor who can do a total makeover for your outdoor area, Norman Landscaping Construction is the name to remember. With its network of landscape, construction and design specialists, everything from concreting, paving and planting is rendered with style. No job is too big nor too small, and the whole team will strive to transform your vision into a masterpiece. Breathtaking gardens, water features, pools and decks are just some of the many creations of Norman Landscaping Constructions . Upgrade your outdoor space into sustainable work of art, and enhance your surroundings with lush foliage and greenery. Norman Landscaping Constructions is composed of talented and qualified landscape experts who can transform your dream gardens into reality. Throughout the years, its team has built numerous projects including ramps, curbs, footpaths and outdoor features. All of these services are done by fully qualified and insured professionals. That is why you can expect the finest results for your project. For bookings and inquiries, visit the website or call anytime from Monday to Saturday, just dial 0439 64# ### and ask for Paul.